TNC 320 is the cheap and reliable CNC unit, which can control 3 analog axes and one analog spindle with oriented stop (4 th and 5th axis optional). It represents the ideal solution for retrofit of CNC machine tools (milling machines) up to 5 axes. 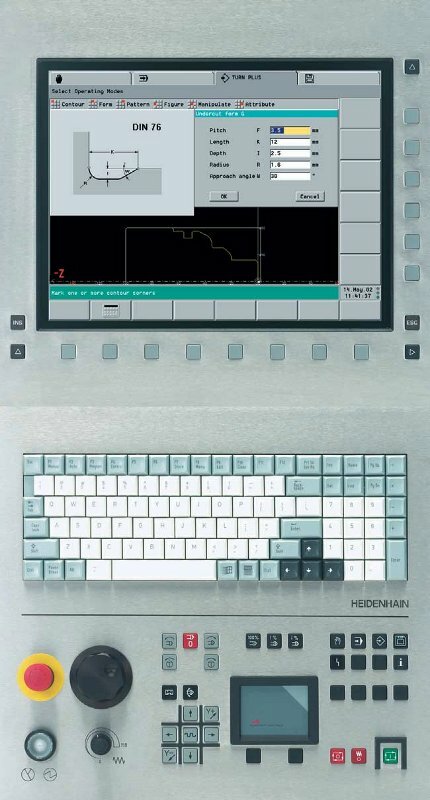 The newest and the most powerful CNC control from Heidenhain offer. iTNC 530 is fully digital CNC unit. It has integrated hard disk with great capacity and standard Ethernet interface, so it can be connected to the local area network easily. 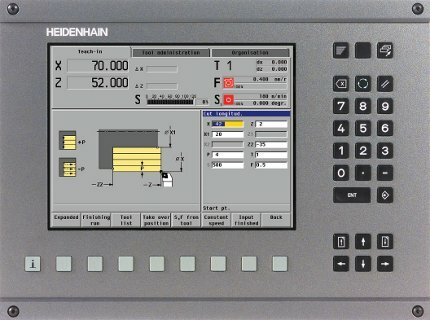 The iTNC 530 is the most powerful Heidenhain CNC unit in terms of hardware power. It is suitable for high speed execution of very complex mathematical algorithm. Also, it is the most powerfull software system (more cycles, options etc). 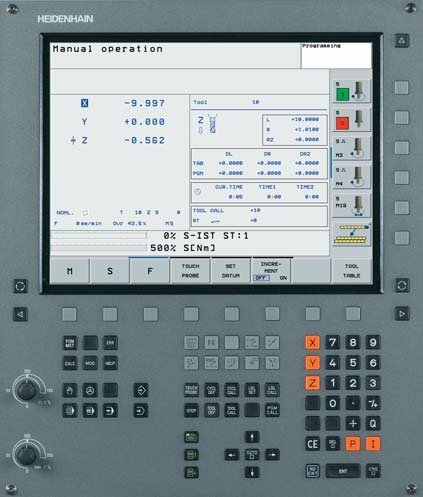 TNC MANUALplus 4110 is CNC for turning machines. It has integrated hard disk and Ethernet interface. It represents the ideal solution for retrofit of conventional CNC turning machines. 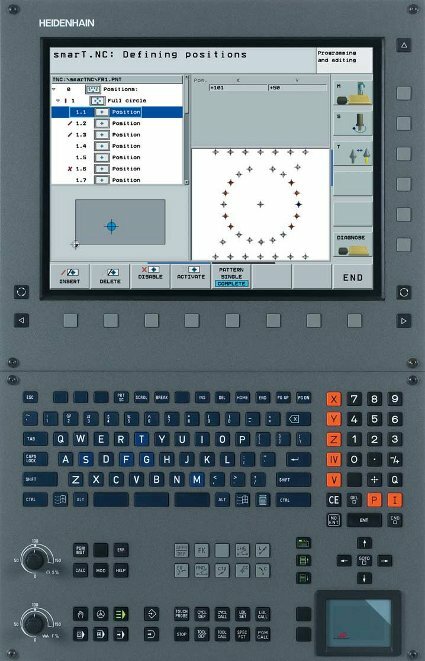 TNC PILOT 4290 is CNC for turning machines. It has integrated hard disk and Ethernet interface. It represents the ideal solution for retrofit of more demanding CNC turning machines.